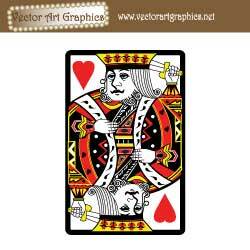 Vector Art Graphics - Free Vector Graphics, Vector Images, and Stock Vector Artwork. Free vector graphics is what I am all about. I strive to make this the best free vector art websites on the web. All of the vector graphics listed are unique to this site. They were either built to be stock vector artwork or are the result of non-selected concepts from a design project. Adobe Illustrator is the vector software I used to create these graphics. My first foray into vector art design was with Adobe Fireworks. Fireworks is a wonderful web graphics tool that is superb in vector image optimization. I graduated to Adobe Illustrator when a lot of print design projects came my way. I have been making Illustrator vectors ever since. Vector images that are available for you to download will usually be in the AI file format. Vector Art Graphics newsletter members will have access to select EPS files as well. All of the free vector graphics we provide fall under the Creative Commons Attribution 3.0 United States license. You are free to share, copy, distribute, and transmit any of the stock vectors. You can also remix or adapt the vector images of your choosing. There are a couple of stipulations or conditions. 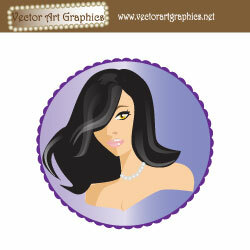 I ask that you attribute the work by providing a link back to Vector Art Graphics. This condition can be waived by purchasing my Vector Artwork Mega Collection.The other condition would be that you do not use any of the free graphics on another free vector website without permission. I plan to share a number of my vector illustrations with other websites that feature other vector graphics. I do wish to have some control over the process. You can see the full creative license details by selecting the CC graphic next to any of my free vectors. Free vector art is my new passion. My goal is to have a million free vectors available for you to download. A million free vectors is a lofty goal but it can be done. Each vector art illustration takes as little as 20 minutes and as long as a day to create. I do not vectorize stock images and then pass them off as original works. There is a noticeable difference between hand drawn artwork and vectorizing clip art. This is not to say that I have anything against people who work that way. Download the free vector art from this website and compare it with a vectorization graphic. My vector graphics should be easy to manipulate and easy to use. The points and lines are kept to a minimum. Vector art that was vectorized will be difficult to adjust. This is why original stock vector artwork is a premium item with limited supply. 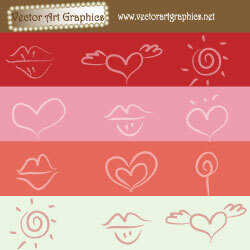 Get additional graphics with these vector clip art designs. The free vector graphics are broken down by category. 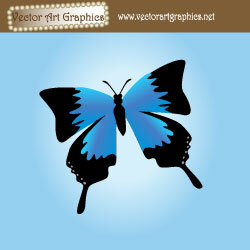 Vector Art Graphics homepage has my featured vector illustrations. These are the latest creations with designs that I think you will really want to download. The first category is vector backgrounds and vector wallpapers. You can start using the backgrounds and wallpapers on Twitter, and other social networking website's. 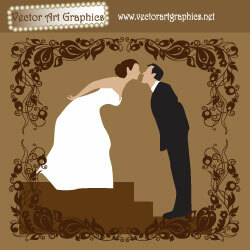 The stock wedding vector art has some of the most artistic illustrations I have every made available at no charge. Abstract vector images are graphics that can be used in a wide array of circumstances. Are you into cars? A lot of people like to detail their automobiles with free graphics. The vector car graphics category will satisfy your craving. If you are an art teacher the seasonal vector images and american flag vector icons categories are for you. These work great in the classroom. The last category is probably the most popular. My free vector buttons and vector icons categories are great for you social networkers out there. Get the designs for Facebook and more. Do you need even more free vectors to download? Our Secret Stash Newsletter is the answer. Subscribers are like Vector Art Graphics VIPs.